Ross and Kessy, who won the silver medal in beach volleyball at the London Olympics, were joined by Ross’ husband Brad Keenan – himself a professional volleyball player. The trip was their second to the village as last year they provided funds for the volleyball team’s new uniforms and other equipment. SOS Children’s Village houses youth who were orphaned by the tsunami in late 2004. 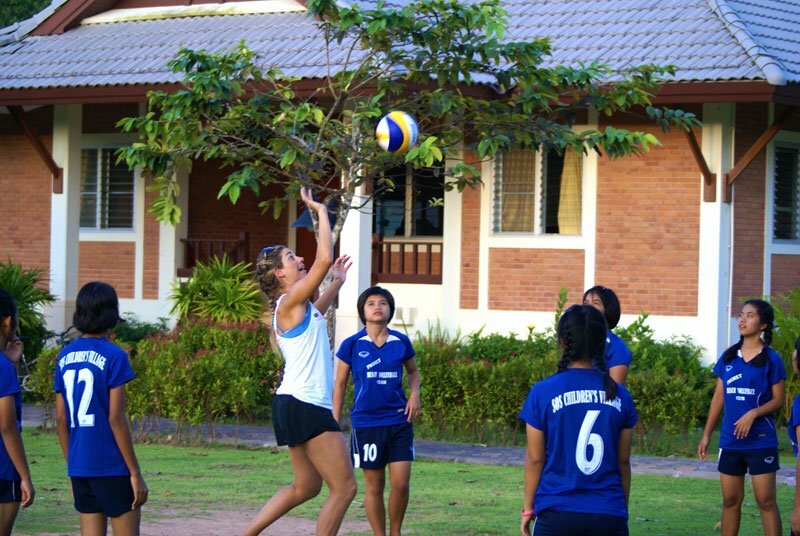 The team is led by head coach Bob Selznick, who hopes to organise a local tournament for volleyball players around Phuket. The SOS team is noted for winning the PTT Schools Tournament last year. The Olympic duo showed off their silver medals to the team and also spent time sharing tips. Kessey and Ross also gave the girls over two dozen signed sport bra's given to them from event competitions all over the world. Both women are sponsored by athletic equipment and apparel company 4POINT4, which takes a portion of every sale and puts it toward supporting less fortunate kids both in sports and education.